The Great Outdoors… The Way You Like It! Hickory Hollow Campground is located in southwestern Pennsylvania in the heart of the beautiful Laurel Highlands of Somerset County. Our new facility offers full hookup, back-in, and pull-through sites. For the more traditional camper, tent sites are also available. We provide wide roads for todays larger motorhomes and a safe environment for walking and biking. 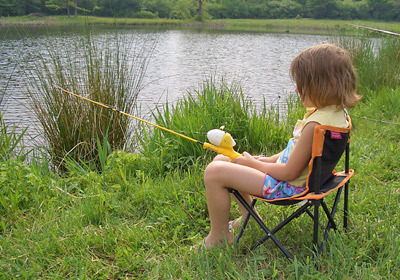 Our campground is located on over 75 acres of rolling countryside with a lake and many wooded areas. Along with the beautiful surroundings, we offer the serenity of the country and many activities for your enjoyment. If your interests extend beyond our camping activities, Somerset County and the Laurel Highlands region have many amenities to offer. From skiing and whitewater rafting, shopping, parks, resorts, festivals to sightseeing, Somerset County has exciting recreational activities and events to keep even the most active person satisfied. Please explore our site to learn more about what Hickory Hollow Campground has to offer. Click here if you would like to make a reservation now for your best vacation ever in the Laurel Highlands of Pennsylvania. We look forward to welcoming you soon! © 2019 Hickory Hollow Campground. All rights reserved.